SM: What is your family background? YA: My parents immigrated from France to Quebec in the 1950s, but there was no work so they moved to Vancouver and Toronto. My father was a construction worker and my mother was basically a housewife. It wasn't a musical household, though my mother had a decent voice and had sung operetta tunes in her tiny peasant village. SM: Tell me about your early career. YA: I started singing in boy choirs in Toronto. 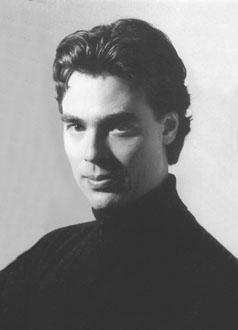 Mario Bernardi hired me in 1975 for the Ottawa Festival Die Zauberflöte and as Miles in Britten's Turn of the Screw ... I think my picture is still on the wall of fame at the NAC as a boy soprano and as a conductor. The Turn of the Screw had a fantastic cast that included Mary Morrison and Phyllis Curtain. I was bitten by the opera bug and I really wanted to become an opera singer. Unfortunately after five years of lessons I realized that I would never be anything more than a poor character tenor. I continued piano lessons and listened to a lot of symphony recordings. I started conducting in front of a mirror, just a childish fantasy, but I was excited by the idea of manipulating music. SM: What is it like to conduct at the Metropolitan Opera? YA: My Met conducting debut three years ago was also my first Barber of Seville. I had only one rehearsal. You can't do much with one rehearsal but I was totally pumped and raring to go. The overture was just dreadful!. My first Met Carmen was actually in Central Park last summer. I had just one 80-minute rehearsal with the orchestra and singers to go through the cuts in the descriptive stuff and recit that's not really necessary "in concert". So when I started this new Met Carmen, I was picking up where I left off after the Park performances. Because the Met has such a huge stage and there is so much happening with animals and extras in the Zefirelli Carmen the challenge is to keep the ensembles and choruses together. Distances are so great you sometimes can't see everyone andyou don't hear the singers particularly well from the pit. Last night the speakers which return the sound to the singers were not working, so Denyce Graves couldn't take her eyes off me. Fortunately the Met orchestra always listens to what's going on onstage and they can correct instantly. They are a happy band if you respect them and give them clear instructions. SM: What qualities make a good conductor? YA: Excellent hand-eye coordination is essential. You have to be able to physicalize what you hear and feel. From James Levine I've learned the importance of subtle but powerful gestures ‹ sort of like Bruce Lee who is so controlled but then delivers all the power in one punch. There are still a few old-style conductors around who get results by being tyrannical, but that is really a thing of the past. I want the orchestra to cooperate with me because they think my ideas are good, interesting or exciting. Guest conducting can be rough, especiallyfor young conductors. Conductors have to accept that they are not going to be loved. You've got to focus on your love of the music. If you are too sensitive you'll be destroyed. SM: What future projects do you have? YA: I am excited about a date with the Toronto Symphony in 1999. Next month in Amsterdam I'm conducting Dialogue of Carmelites, directed by Robert Carsen and his Canadian team. Of course L'Opéra Français de New York is still a top priority. I wish we were millionaires so we could stage bigger operas with great young directors. L'Opéra Français may have to start presenting non-French repertoire and more experimental stuff if we are going to survive. It's hard to find good French opera for an orchestra as small as ours. We wanted to do Gluck but the City Opera beat us to that. All the best French opera is huge, overblown stuff, too big for us. My dream is to stage an opera directed by Robert Lepage. He's a genius and I know New York would love it. L'Opéra Français de New York announces their 1998 season. Offenbach's Barbe-bleue, directed by Christopher Alden, is presented one night only, 5 February 98, with Canadians Hugues Saint-Gelais as Barbe-bleue and Anita Krause as Blanche. Angelina Réaux stars as Boulotte. On 25 June 98 Bizet's La Jolie Fille de Perth stars Canadians Tracy Dahl as Catherine Glover and Lyne Comtois as Mab. Artistic Director Yves Abel conducts. Tel/fax: (212) 349-7009. L'Opéra Français de New York vient de faire paraître sa programmation pour la saison 1998. En premier lieu, Barbe-bleue d'Offenbach, sous la direction de Christopher Alden, présenté un soir seulement, le 5 février 1998. La distribution comprend les chanteurs canadiens Hugues Sait-Gelais dans le rôle de Barbe-bleue et Anita Krause dans celui de Blanche. Angelina Réaux y tiendra le rôle de Boulotte. La représentation de La jolie fille de Perth de Bizet, quand à elle, aura lieu le 25 juin 1998. A nouveau, en vedette, des artistes canadiens. Ainsi, Tracy Dahl dans le rôle de Catherine Glover et Lyne Courtois, dans celui de Mab. La direction musicale sera assurée cette fois par le directeur artistique de l'Opéra Français, Yves Abel. Renseignements : (212) 349-7009.